President Xi Jinping's enactment of regulations such as the national security law established legal bases for the government's tightening grip, formalising de facto restrictions that had long been in place. Beijing: The European Union delegation to China said Friday it was "extremely concerned" about the denial to Chinese citizens of "fundamental" human rights. The EU noted "significant improvements in the Chinese people's standard of living and in access to social services such as health and education", according to a statement on its website. "However ... during the past year, we have been deeply troubled by the deterioration of the situation with respect to freedom of information and freedom of expression and association, including with respect to online activity," it said. The statement comes days before the International Human Rights Day on December 10, and as Beijing ramps up its crackdown on civil society, targeting everyone from lawyers to celebrity gossip bloggers. 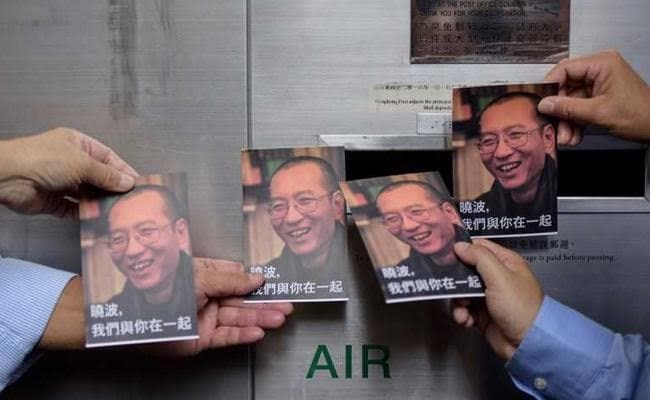 The EU delegation also said it regrets the death in detention in July of Nobel Peace Prize laureate Liu Xiaobo, and called for the release of imprisoned human rights defenders, including lawyer Jiang Tianyong and Uighur scholar Ilham Tohti. Jiang had represented some of the more than 200 Chinese lawyers and activists who were detained or questioned in a police sweep in 2015 that rights groups called "unprecedented". The delegation's statement was not formally endorsed by all 28 EU member states, and there was no immediate response from Beijing. Germany's ambassador to China, Michael Clauss, said separately on Friday that he was concerned about new regulations on religious affairs and the "worrying increase of pressure on religious communities". China's officially atheist Communist authorities are wary of any organised movements outside their control, including religious ones, and analysts say controls over such groups have tightened under President Xi. The national security law explicitly bans "cult organisations", which includes Falun Gong, Buddhist-inspired groups and several Christian groups. A new regulation in the northwestern Xinjiang region bans religious activities in schools and stipulates that parents or guardians who "organise, lure, or force minors into religious activities" may be reported to the police.